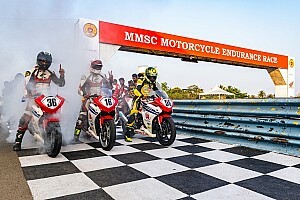 TVS Racing rider Jagan Kumar made it two wins in a row as the third round of the MRF National Motorcycle Championship concluded on Sunday. Jagan started second on the grid, but got promoted to the lead when polesitter and Honda rider Sarath Kumar made a slow start off the line. Once out in front, Jagan began to build an advantage for himself and eventually crossed the finishing line with a healthy margin of two seconds. After making a slow start Sarath also slipped behind Jagan’s TVS teammate KY Ahamed but managed to repass him to deny TVS a one-two finish. After the conclusion of the round, Jagan leads the championship with 112 points on board, 21 clear of Ahamed. 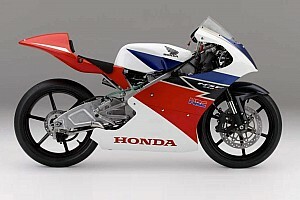 Deepak Ravikumar, also from TVS sits third with 74 points, just ahead of Honda duo Sarath and Rajiv Sethu. 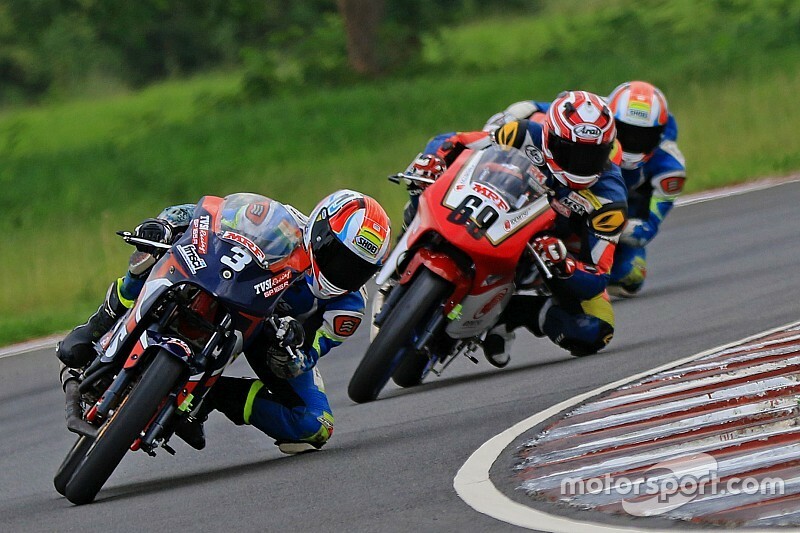 Prabhu Arunagiri repeated Jagan’s double win in the Pro-stock 300-400cc category after championship leader Amarnath Menon suffered loss of power midway through the race. Meanwhile, Kevin Kannan of Rockers team scored his first victory of the season in the Pro-stock 165cc category after a last-lap pass over Honda’s Mithun Kumar, who won Race 1 yesterday. 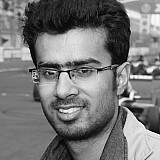 Mithu’s teammate Anish Shetty, who holds a sizeable 16-point lead in the standings, was classified third.